The Americana Music Association has announced their 2017 Top 100 Albums of the Year based on reporting to the Americana Airplay Chart from Americana stations during the period of Dec. 6, 2016 through Dec. 4, 2017. The chart can be a good way to see what you might have missed in the year of Americana, or where your favorite artist or band may fall comparative to others. It’s probably no surprise that Jason Isbell leads the pack, followed closely behind by Chris Stapleton, but there also are a few surprises in the list. Something always good to note about the Americana Top 100 Albums list is since it runs on the calendar year and not around the release cycles of the specific albums, some titles may look unnecessarily downgraded, while others may look too high on the list. It can also include albums that weren’t released in 2017 since it’s tabulated by airplay as opposed to when an album was released. As Saving Country Music reported in September, the way the radio charts work in Americana will be dramatically revamped in 2018, scheduled to start on January 1st when the chart will go from an albums-based metric to a songs-based metric via a system called CDX-Traction. The system will use the online streams of Americana radio stations and a proprietary song identification system to track plays of Americana songs in real time, and aggregate them into weekly charts. The company is currently operating a similar system in the Texas Music space, and offers a similar service for mainstream country. 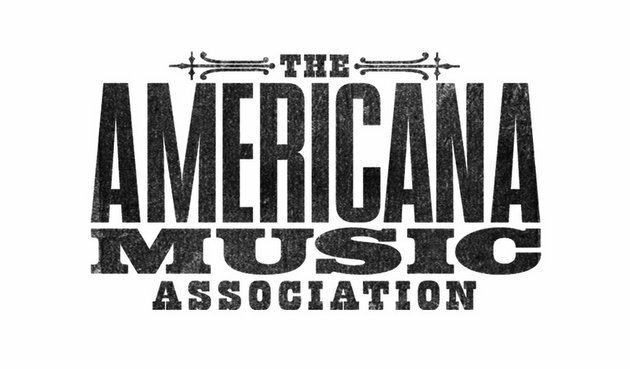 Previously, the Americana radio charts were compiled via manual reporting, which could cause issues with errors and allowed stations to report “paper spins.” The new system will be more transparent and accountable. Son Volt’s ‘Notes Of Blue’ Is played in my car and at home as much or more than Isbell’s Nashville Sound. Check it out if you haven’t already:) . Farrar is genius!! I’ve heard everything in the top 20 and most of the rest. I didn’t believe it when people were declaring 2017 better than 2016 for Alt. Country until late, around early Fall. This is the genre that just keeps on delivering, year in, year out. And next year’s crop of new releases already looks promising. Kim Richey, Kacey Musgraves, Brandi Carlile, Lucinda Williams, Steve Earle, John Prine, Marty Stuart, Brothers Osborne… Everything else may be in limbo but the steady stream of quality Americana rolls on, soundtracking the madness. Glad to see Kasey Chambers and Shannon McNally getting some love, two underrated albums this year, although with McNally, I can see why since it was mostly covers. Her original song “Banshee Moan” is one of my favorite songs of the year, though. Wow. I knew there was a lot of good music this year, but I didn’t know there was THAT much good music this year! And there’s probably 10 or more great releases not on this list–like I didn’t see Nick Dittmeier on there, for instance. I think streaming is the only way to go to get the kind of access one needs. I’m making some changes next year and jumping in that stream. I’ve spent enough time dipping my toes in it! I know it’s frowned upon but I would be lost without Amazon Prime. Gives me a chance to listen to ALOT of albums that I probably would never have checked out if I had to buy them. Really great to see a whole lot of women represented in that American Radio listing; the genre always seems better to them, and they seem to be allowed to do more there. I especially love the inclusion of STITCH OF THE WORLD, counting it as I do as one of the best albums of 2017 by anyone in any genre, and especially since I feel Tift Merritt is the best female singer to come down the pike in this century. For being a relative unknown, 35 – Tyler Childers – Purgatory, is pretty impressive for the kid..
What a statement that album is. Also, it came out in early August, so I guess that’s only four months of airplay. JTE and Steve Earle albums (both in top 10) come out early in the year. Steve’s was June… so not super early, but the way this list is made means the rankings are not necessarily reflective. I wonder what it would be if they prorated for the number of months since each album was released. But also, known names get more airplay, definitely. This is just a solid album. I never get tired of listening to it. Was Turnpike not considered or was it released too late? Turnpike is primarily being promoted to Texas Music radio, which has its own charts, and extends beyond just Texas to parts of Oklahoma, Kansas, Missouri, and other parts of the Midwest. There may be a list coming from CDX for that market soon. As for Margo Price, yes, the timing of the record probably has partly to do with it, but as I have said many times, her recorded music is just not resonating with listeners, and I think her showing on this list symbolizes that. She’s a favorite of critics, and even fans seem to like her, but her songs don’t resonate, so DJ’s don’t play them to the same degree. Right now her record isn’t even on the Top 25 of the Billboard Americana charts. It’s not that nobody is buying or streaming it, it’s that NOBODY is buying or streaming it, despite the overwhelming critical acclaim. It has completely disappeared, even as it crests the end-of-year lists. It’s a shame Colter Wall’s record didn’t penetrate any further. Love these kinds of Lists. Gives me a chance to discover artists I’ve never heard of before! Also, I’m surprised Sarah Shook & The Disarmers didn’t make the list. If anyone hasn’t heard that album I highly recommend checking it out. People SLEPT on this one. Most people associate John Mellencamp with more of a classic rock sound but his releases are, and always have been, rooted in country music. Artists like Mellencamp, Springsteen, Bob Seger, and especially Tom Petty don’t get their recognition as forerunners and contributors to the whole Americana sound. It’s funny that Dylan’s last few releases are labeled Americana and even end up on that particular chart yet other artists who release the same exact same type of music are ignored. John Mellencamp’s last half dozen releases are more country that 95% of what has been called “country ” for the last decade.